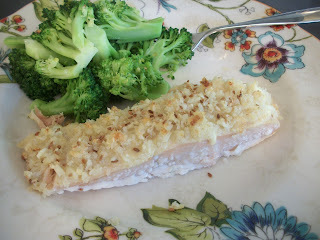 This recipe is perfect for a weeknight cause it is QUICK QUICK QUICK!! I had it on the table in less than 30 minutes from start to finish. But it is also fancy! So it's perfect for a dinner party too. What a great recipe! Start by placing the salmon fillets in a baking dish or on a rimmed baking sheet. Pat dry with paper towels so the topping will stick. salt and honey. Spread this over the fillets. Mix it up with a fork until all the breadcrumbs are moistened. 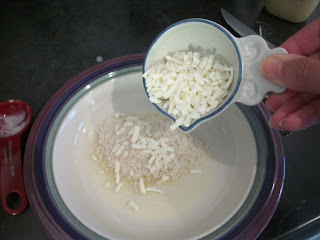 Then spoon the topping over the fish. 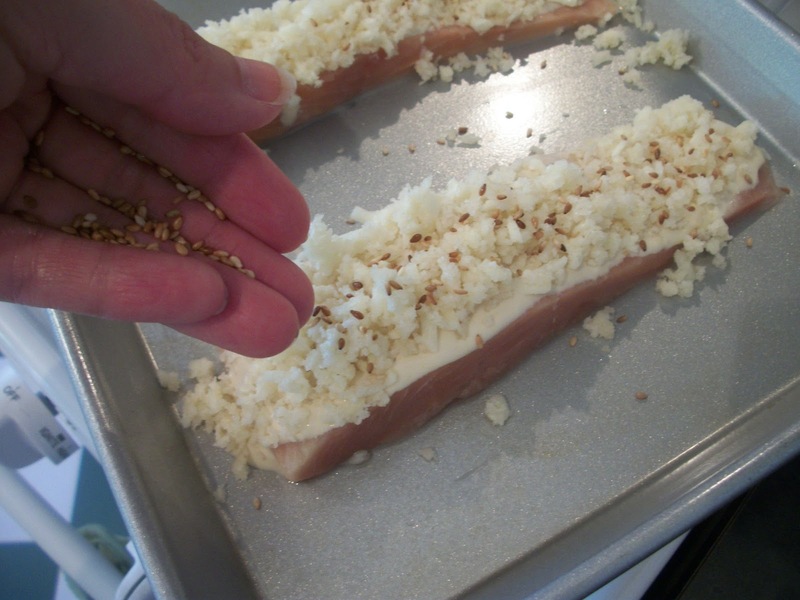 Bake for about 15 minutes or until the fish flakes easily and the topping is golden. Delicious! Find more great stuff at Mouthwatering Monday, Inspiration Monday, Mix it Up Monday, Melt in Your Mouth, Totally Tasty Tuesdays, Tasteful Tuesday, Clever Chicks, Try a New Recipe, All My Bloggy Friends. 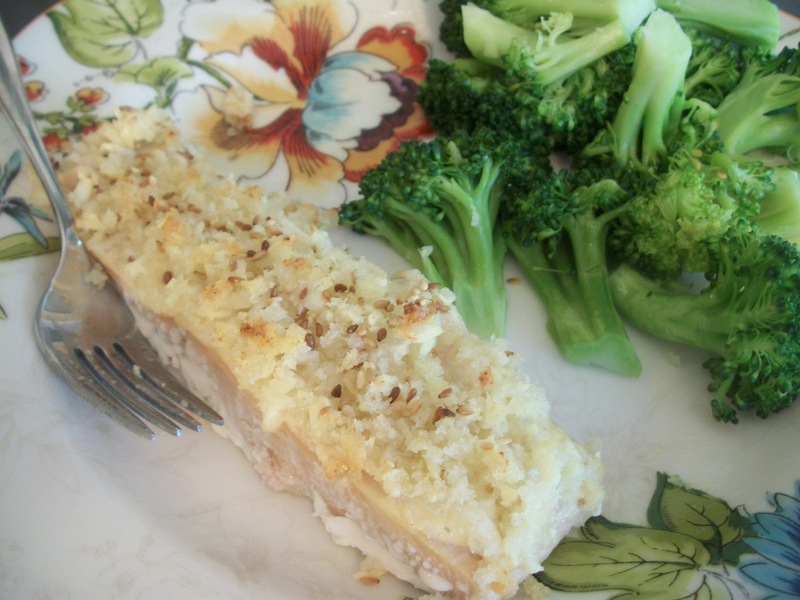 Place the salmon fillets in a baking dish or on a rimmed baking sheet. Pat dry with paper towels. 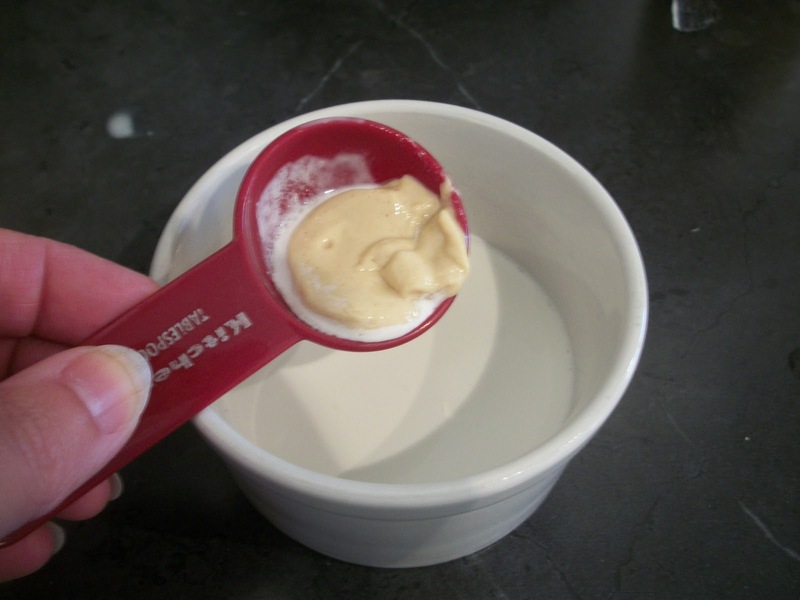 In a small bowl, combine the cream, mustard, salt and honey stir well to combine. Spoon evenly over the fillets. 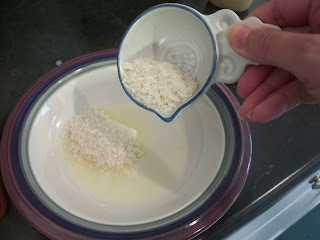 In another small bowl, combine the butter, panko and Parmesan and stir with a fork until all the crumbs are coated with the butter and clumping together. Spoon the topping over the fish, then sprinkle with the sesame seeds. 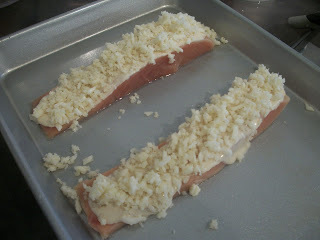 Bake at 350 for 15-18 minutes or until the salmon flakes easily with a fork and the topping is golden. Serves 4. I'm visiting from Group A - I did an orphan rescue that posted today. I LOVE the look of this recipe. I will definitely be making it soon. Thanks for sharing with the SRC. Love this salmon dish! Glad to be part of SRC group with you! YUM! I miss the SRC - it's so fun and such a great way to get to know people, and find new blogs! Thank you so much for linking up with Mouthwatering Mondays! We adore fish and are always looking for new recipes to try! 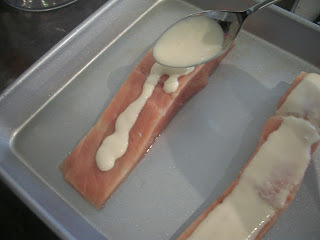 Love having fish with mustard- looks like another good way to cook fish! I always trying salmon in new ways - this looks great! This looks wonderful. I love salmon. ANd new ways to fix it! Great choice Elena Blthe! Looks yummy :) Thanks for sharing at Share your Stuff Tuesdays!